A professional troupe of Tribal Style belly dancers, teaching and performing in Sonoma County, California and around the world. 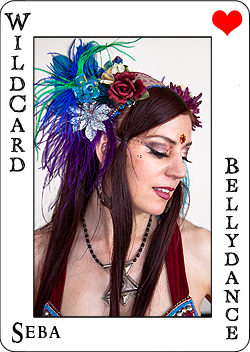 WildCard BellyDance teaches their own format of Improvisational Tribal Style (ITS) belly dance, which is a modern fusion of traditional dances from cultures along the Silk Road; the Romani trail from from Spain through North Africa, the Middle East, Persia, India and beyond. 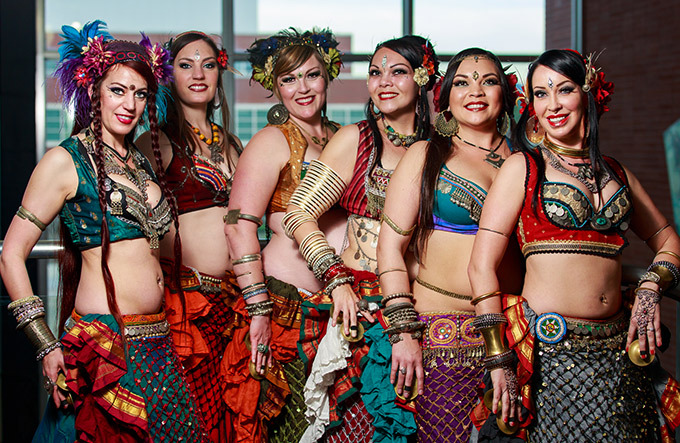 Over the past 9 years, WildCard BellyDance has developed their own unique repertoire of movements along with visual and verbal cues to achieve graceful synchronicity within the group. We are rooted in American Tribal Style® belly dance, and our style holds true to the foundations of synchronized group improvisation. Our ITS moves and cues are ATS® friendly! Looking for belly dance lessons in the North Bay Area of California? 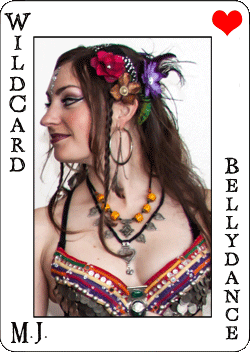 WildCard BellyDance is the source for tribal belly dance classes in the Santa Rosa area of Sonoma County. We have been teaching classes locally since 2005! For Dancers of all Levels! Certified instructors from WildCard BellyDance teach 3 levels of classes (from beginner to advanced) on Monday and Wednesday nights in Rohnert Park California. Our instructors and troupe members are available for teaching ITS Workshops at festivals and bellydance events. All Improv... All the Time! While we are joyfully revisiting more traditional ATS® foundations we are constantly innovating and introducing our own new twists, combos and transitions. We are very pleased to present our new WildCard BellyDance ITS (Improvisational Tribal Style) belly dance format including a group improv. format for scimitars and floorwork. 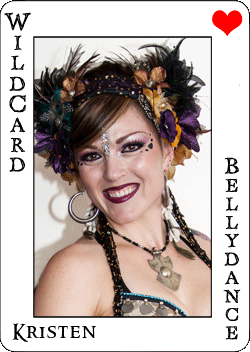 WildCard BellyDance is well known for our colorful, high-energy shows. Our troupe is constantly performing at many restaurants, festivals, fairs and private events. Hiring belly dancers is a unique entertainment option for your party or special event, please visit our bookings page for hiring WildCard BellyDance. You may also wish to learn more about our dancers and watch our performance videos to acquaint yourself with our unique brand of tribal style belly dance. accessories - A cool leather accessory company that we are not affiliated with. 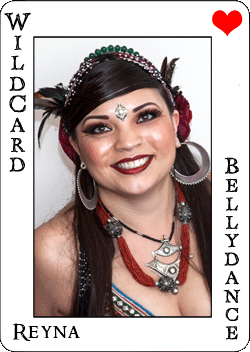 WildCard BellyDance was formed in September of 2008, when nine California members of BlackSheep BellyDance co-founded their own evolutionary troupe. 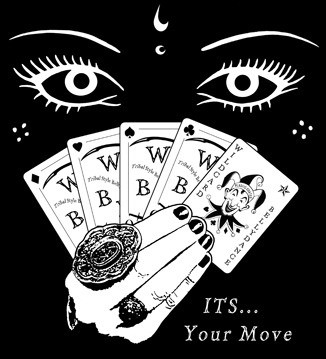 In 2009 WildCard BellyDance solidified and released their own ITS format, contining to innovate cues, moves & transitions and enhance their group improv format. 2010-11 saw the creation of a new set of Tribal Scimitar Improv moves (including improv cued floorwork)! which added to both their dance repertiore and workshop offerings. In 2012 WildCard BellyDance has co-produced Tribal Collaborations (Audio CD)> Now we are teaching workshops and performing our unique Improv Tibal Style format at major festivals in the USA and beyond! Carolena Nericcio: Creator of ATS® and founder of FatChanceBellyDance®. There can never be enough thanks! Kajira Djoumahna & Paulette Rees-Denis for extending the ITS format. All our sisters and troupes out there dancing for the Joy of It!